Once the British growing season is over produce is harvested at the Fairtrade sister farm, Tambuzi. 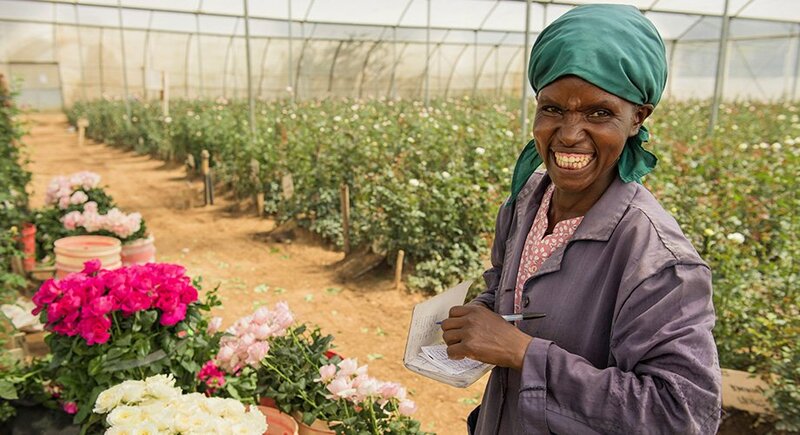 Rosebie Morton helped establish this acreage at the base of Mt Kenya with British farming couple Tim and Maggie Hobbs to supply roses all year round. 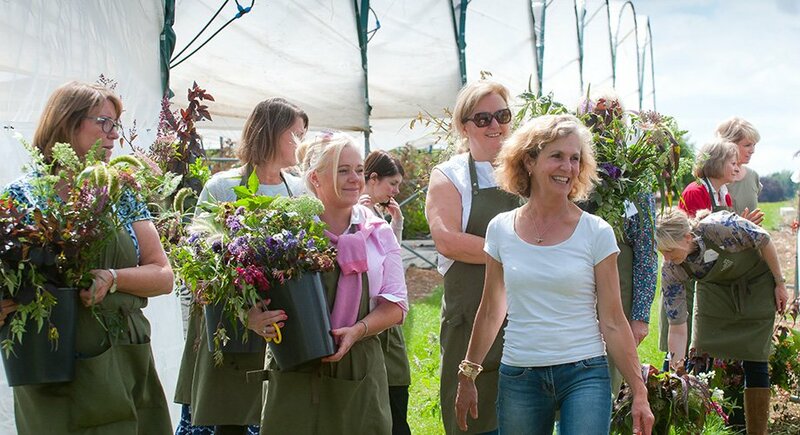 The farm is accredited at the highest levels in social and environmental standards employing a local community workforce of approximately 500 men and women who hand-pick the roses, herbs and foliage then prepare the stems for transport to the UK workshop. 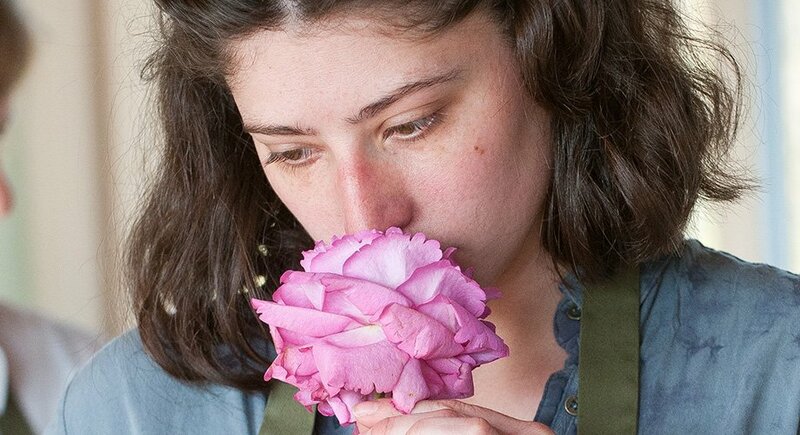 Importing flowers from the Kenyan farm does not compromise commitment to sustainability. 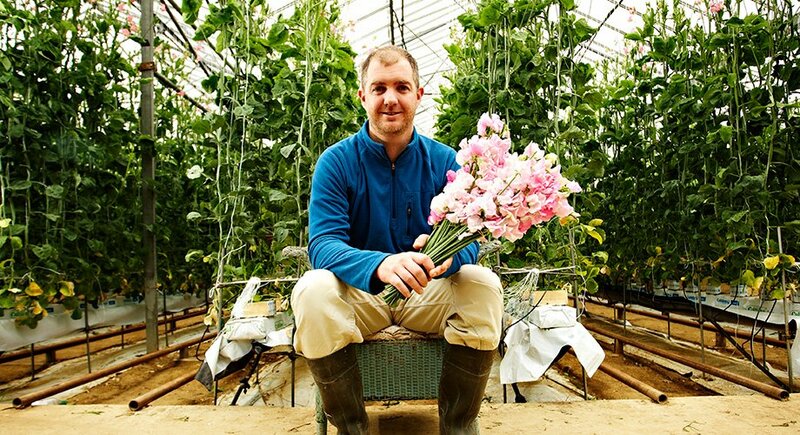 The optimal growing conditions in Kenya ensure a ready supply of natural heat and light. 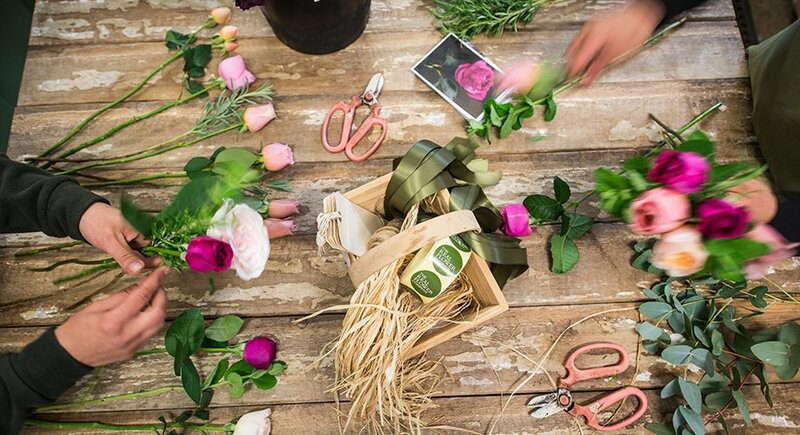 All stems are individually selected, hand-picked and prepared. 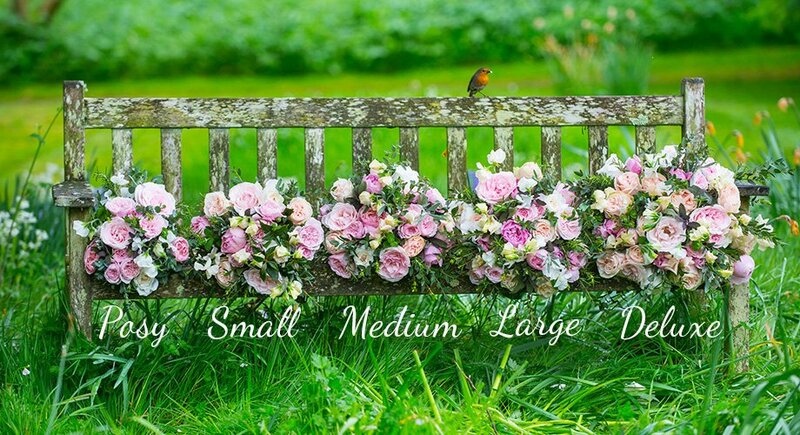 They are then either supplied to the trade and leading florists around the UK or hand-tied by the experienced floristry team at The Real Flower Company's charming clapperboard farm building in West Sussex and despatched in the signature olive green hat boxes or packaging. 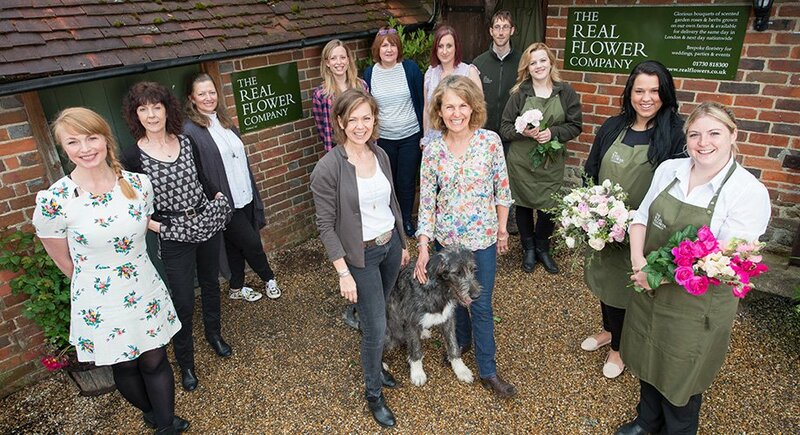 The Real Flower Company has received a number of industry and consumer awards celebrating its luxury floristry and trade business, the latest being the 2016 UK Ornamental Grower of the Year from Grower Magazine. These reflect the success of its work ethic: to exceed customers’ expectations, to run a fair and sustainable business and to be the best in the sector.